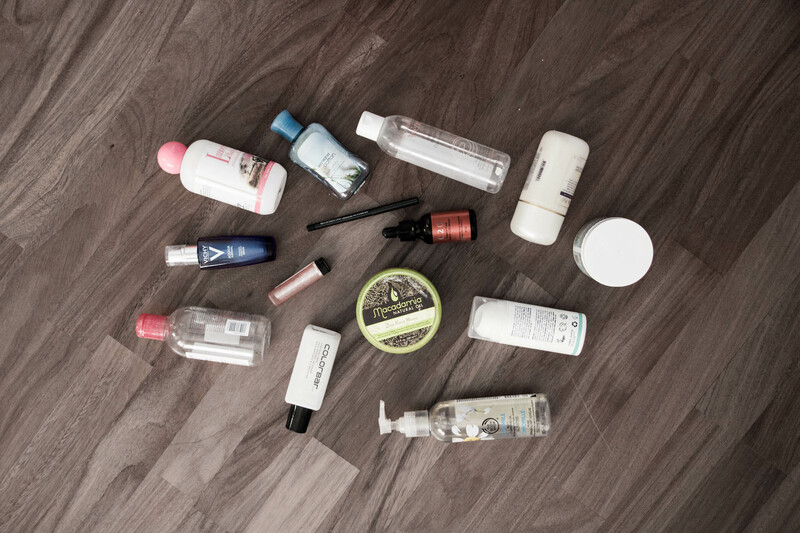 I’ve never really done an empties post before but I really enjoy reading them. I’ve always found great satisfaction in chucking out an empty bottle of whatever it was in the bin. But for the past six months or so, I’ve been hoarding them in a bag. Enjoy the reveal! Most of these are skincare and you can pretty much gauge my routine for the last year. Let’s start with cleansers. There may not be an empties post in existence that doesn’t contain Bioderma Sensibio H20 Solution Micellaire or something of the sort. I’ve been using this for 2 years now and it’s very much a staple. A backup for the one I’m using currently has already been purchased! I usually take off the majority of my eye makeup and lipstick with this. It’s also great for correcting any makeup mistakes without leaving a residue. This is why I love the beauty community, I would have never discovered this otherwise even though it seems to be such a common product for us! 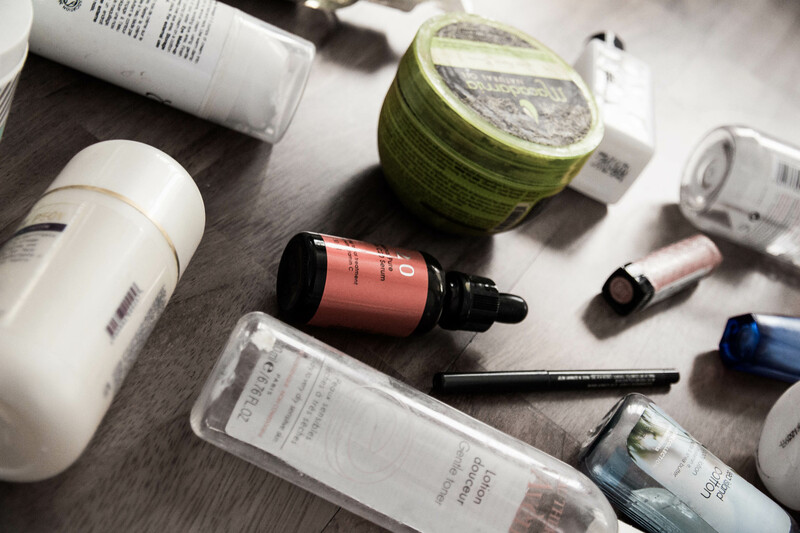 I usually take off the majority of my makeup at the end of the day with a cleansing oil. It took a long time but I finally used up the The Body Shop Camomile Silky Cleansing Oil. As great as this is at removing every last speck of makeup, I won’t be repurchasing this because it does leave a bit of film over my skin which I don’t like. It’s a thicker oil compared to the Shu Uemura oil I was using previously and I prefer a lighter consistency. The cleansing balm I’m currently using (Banila Co) is just as good if not better but doesn’t leave any residue, nor does it dry out my skin. I think it’s a great product for the price, but it feels too heavy for me. Pai Camellia & Rose Gentle Hydrating Cleanser was my second cleanser of choice for a large part of 2015! It’s also what I used in the morning. Although it’s advertised that it can remove makeup, it really can’t, not thoroughly anyway. I would consider buying this again but there are plenty more I want to try before I do! Glossier Milky Jelly something cleanser comes to mind! Next up are an assortment of toners. Acid toning changed my life last year. Chronic acne and bumps on my chin were put to a stop and my skin in general had better texture, it was smoother and not as dry as it used to be. The miracle worker was Biologique Recherche Lotion P50V which I will be repurchasing! It smells like stale idli or something fermented but I don’t mind. It’s the Louboutin of acid toners. P50V is the sensitive skin version and though it does sting at times, particularly where you have dryness, I would recommend this version to try of first if you’re new. I’ll be moving up to P50 now, hoping it works just as well. It’s an expensive product but it did last for 8-9 months which is pretty great considering I used this around 5 times a week. Before jumping on a Lotion P50 repurchase, I did want to try a cheaper alternative. First Aid Beauty Facial Radiance Pads has a good mix of ingredients for the price but I don’t think it really did anything for me. Perhaps the level of acid is too mild, I have heard that this is the perfect baby step to acid toners for those with sensitive skin. Also, because of the soaked pads/jar packaging, towards the end, the potency is lost. A hydrating toner that I liked using in the mornings and evenings is the Avene Gentle Toner. This is probably my third or fourth bottle! A large percentage of this is the Avene Thermal Water which just soothes and calms the skin. It hydrates and preps the skin for the next step, usually an oil. Would I say you really really need to have this in your routine? Maybe not. Other than hydration for a couple of minutes, I’m not entirely sure what this does for my skin. But I do find use for this in situations where I’ve woken up, cleansed my face, applied this but I’m not doing the rest of my routine because I’m not having a shower just yet. This is usually the scene on weekends and for that period of time in between, this keeps my skin from drying out. Very odd use case but important to consider! I don’t like applying moisturiser if it’s going to come off after an hour. I have two serums here, one strictly for daytime and the other for hydration which can be used at any time. I really wanted to try a Vitamin C serum after going down that rabbit hole. Amazing results with fading acne marks and hyperpigmentation, very resourceful ladies on reddit who CREATE their own L-ascorbic acid at home, so much talk and madness about vitamin C and I had never heard of it before! I wanted to try something more affordable though. Skinceuticals, Obagi etc are very expensive, especially for a product that only lasts 3 months and oxidizes easily! I really doubt I can use up 30ml in three months anyway. So I purchased the OST C20 Pure Original Vitamin C Serum knowing fully well that I won’t be able to use it up completely. This costs $15 but you do get a discount the first time you buy it with free shipping and it’s only available on Korean seller websites (links are at the end). But the miracle stories about this serum are many! I had one major leftover acne hyperpigmentation which really stood out, my test case was ready. I used it everyday and in around 10 days, it had faded almost 60%! After a month it was barely noticeable! Rejoice! Unfortunately, despite storing this in the fridge at times (as suggested by reddit to prolong it’s life), this oxidized in 3 months when I had used up just half of it. Had to pour the rest down the drain but on the bright side, this experiment really made it quite clear that I DO need a Vitamin C serum in my life! I’m currently using the Drunk Elephant C-Firma Day Serum which has a stabilized version (as opposed to pure L-ascorbic acid) of Vitamin C, so it doesn’t oxidize as easily and can be used for as long as any other serum. It works well but the results are slower than OST. But on a price/usage basis, Drunk Elephant is the sensible choice. Anyway, moving on to a hydrating serum, I really enjoyed using the Vichy Aqualia Thermal Dynamic Hydration Serum over winter. It sinks in quickly and really plumps and hydrates the skin. The only con is that it does contain an artificial fragrance. I didn’t notice any sensitivity to it but I guess it can be an issue for others. Gonna talk quickly about some random, less interesting bits now. I used up the small Bath and Body Works Sea Island Cotton Body Lotion, which I only used during travel. I really like the fresh clean scent and it does a good job of keeping my skin moisturised throughout the day. Lanocreme Body Lotion on the other hand, failed to make an impression, it’s just average and I’m glad it’s empty! After eons I managed to use up the Macadamia Deep Repair Masque. The scent is heavenly and you need the tiniest amount, otherwise it will weigh down your hair. Not going to repurchase this any time soon even though it’s a good product because I’m just itching to use something else! Colorbar Nail Polish Remover is a pretty basic and cheap nail polish remover. Not really sure what else I can say about it other than the fact that it is acetone free. I wish it came in a pump or nozzle though! Finally, the last two makeup bits! I used up the Revlon Lip Butter in Peach Parfait, it’s a sheer peachy colour with shimmer but I like the glossy effect! Mac Technakohl Liner in GraphBlack is great for lining the waterline. It’s not quite as smooth or black as the Stila Smudgestick or Rimmel Scandaleyes but it’s one of the few products that doesn’t smudge easily on me. That’s a wrap for my empties, I can finally throw this all out! I might keep the First Aid Beauty tub because it’s a nice size and can be repurposed for something. I also used up a Batiste dry shampoo but forgot to keep it around for this.